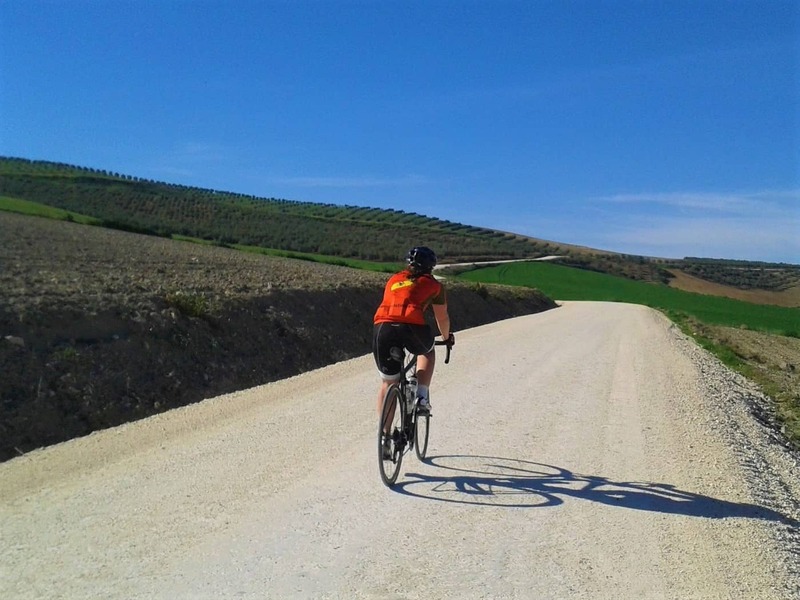 This Andalucia cycling holiday passes through the historic cities of Seville, Cordoba and Granada, staying in some of the most charismatic and charming hotels in Andalucia. In addition to the sights in the three main cities, you will cycle through some beautiful lesser known towns, such as Carmona and Zuheros. The route combines the historic tradition of Andalucia, with the superb scenery - ranging from the Sierra de Hornachuels to the Subbetica Natural Park. Along the route you will stay in a variety of stunning boutique accommodation; including a 17th century palace, a reformed hacienda and a Mudejar style Alcazar. If you would like to do this as a guided tour (with the option of shorter days), please check out our Historic Andalucia cycling holiday. The tour begins when we transfer you from Seville airport or train station to the 18th century hotel in the heart of the old town. Seville is a vibrant and lively city with thousands of years of history within the city walls. This is an excellent base from which to take in the three UNESCO world heritage sights that lie in Seville, including the largest gothic Cathedral in the world. In the evening you can join in with the rest of Seville, taking part in Andalucia�s favourite past-time: tapas dining. The first day cycling will see you leave Seville on cycle paths along the Via de la Plata route of the Camino de Santiago, stopping at the ancient Roman site of Italica. Along with a brilliantly preserved Roman amphitheatre, Italica also contains the remains of impressive mosaics, baths and Roman houses. From Italica, you loop round to the north of Seville, crossing the expansive plains which characterise this part of Andalucia, before reaching Carmona. In Carmona you will stay in a historic Mudejar style hotel, situated among the numerous palaces that sit inside this fortified town. 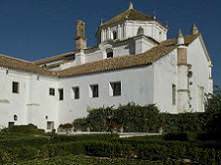 Leaving Carmona, you continue heading west, cycling past the 15th century convent, before reaching the edge of the Sierra de Hornachuelos mountain range. 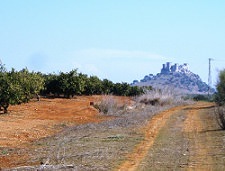 The route crosses the foothills of the mountains, with no long climbs, as it passes alongside hundreds of thousands of orange trees to Palma del Rio. Here you will stay in a small, beautiful 15th century monastery. 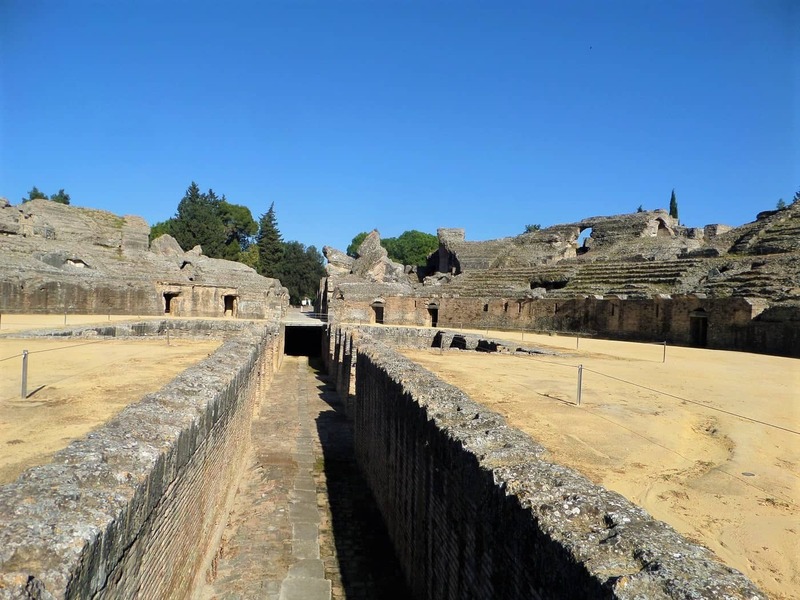 Before reaching Cordoba, you will visit Medina Azahara - the vast palace city dating from AD 936, described by the New York Times as "the Versailles of the Middle Ages". From Medina Azhara, it is just a short cycle into Cordoba - one of the most beautiful cities in Europe. You will stay in a fantastic 17th century hotel, which features the patio gardens distinctive of Cordoba, and is situated just a stone throw from Cordoba's main sights - including the Mezquita and the Jewish Quarter. Leaving Cordoba to the south, the terrain becomes more hilly as you enter Andalucia's olive oil country. There are no big climbs, but the undulating route makes for fine scenery - with rows of olive trees spreading out in all directions. The destination are the white villages on the edge of the Subbetica Natural Park. 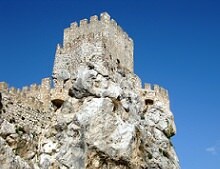 The most charming of these, Zuheros, features pre-historic caves and a castle precarioulsy perched on the mountainside. In the evening you will stay in a beatuifully restored 19th century hacienda, situated on a charming cycle route between the villages of Zuheros and Luque. The route today is the most challenging of the cycling holiday, featuring several hundred metres of climbing. However, it is not especially long and there are no really steep climbs so it is easily manageable. You pass through the Subbetica Natural Park - a popular area for birdwatchers, with golden eagles and griffon vultures often spotted in the park - on the way to Priego de Cordoba, a baroque town with Moorish influences. After briefly visting the Roman village of Almedinilla, the destination for the evening is just outside Montefrio - one of the most important villages in the region during the 15th century. The hotel is a beautiful building of Moorish style set on a hilltop overlooking the village. The final day of the tour is just a shade under 50km and has some fairly long downhill sections, ensuring that you will arrive in good time to Granada. You will join a cycle route on the edge of Granada, which takes you into the heart of the city. The hotel, built around a traditional Andalucian courtyard, is perfectly situated close to the cathedral, and within comfortable walking distance of the Alhambra Complex and the Albayzin district. 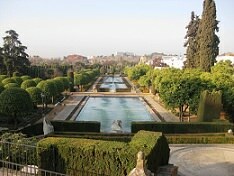 We can provide you with tickets for entry to the Alhambra - one of the great cities for history lovers. The tour ends after breakfast. However, if you have extra time before you need to leave Granada, and you have some energy left, there is the opportunity to do one of the greatest cycling challenges in Europe. Situated just outside Granada, Pico de Veleta is the highest paved road in Europe; indeed, it is possible to cycle to nearly 3,400m above sea level. 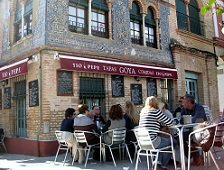 If you would prefer a more relaxing end to the holiday, there is plenty to see in Granada, and if you would like to stay here for extra nights, we would be happy to arrange this for you. *Based on two people sharing a double or twin room. If you would prefer to stay in a single room, the single supplement is applicable. Seven nights accommodation in double, twin or single room with en-suite. Please see price list for details of single supplement. The average daily distance on this tour is around 55km, with the longest day 75km. There are also optional extensions each day if you wish to cycle further. The route follows minor roads with a good surface and little traffic. The Seville-Granada cycling holiday is rated as medium. The first half of the route, between Seville and Cordoba, is almost completely flat. Between Cordoba and Granada it is more undulating, but the climbs are gradual with few steep sections, so it is easy to keep spinning the pedals. The daily distance of around 55km means that some recent cycling is an advantage to get the most out of the holiday. However, a few weekend rides in the weeks before the trip should be enough to become fully prepared. Can I personalise or change aspects of this tour? Absolutely! We have designed a tour that we feel strikes a great balance between cycling routes, accommodation and interesting towns. However, if, for example, you would like to do the tour for a different number of days, stay in a different level of accommodation, or extend the route to a different location, we would be happy to discuss the options with you. Our prices are based on two people sharing a hotel room (in a double or twin room). For cyclists that wish to stay in their own room, the single supplement is payable. The cost is made up of the extra cost of accommodation when the room is single occupancy and also the greater cost of the transfers (luggage and people) when it is not split between two or more cyclists. We have made every effort to keep this to a minimum wherever possible. The holiday begins in Seville, which is accessible from many domestic and international destinations. 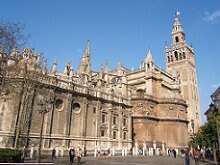 In addition, Seville is just two and a half hours by train from Madrid and Malaga (renfe.com). Departure is from Granada which has an international airport with flights to the UK and USA. Malaga airport is less than two and a half hours away by a regular, direct bus. See our flights page for details departures and arrivals to the region. One popular option is to extend the trip with a stay in Granada or Cordoba. Please contact us for more details if you wish to extend your tour with a city break � we would be glad to assist you with this. What type of bikes do you hire? Both road bikes and hybrids are available for this tour. Both are fully suitable for this tour, so we recommend choosing whichever type you feel more comfortable riding. The most popular period is from late September through to early June. This is when the weather is warm, but not too hot. Please be aware that the weeks around Easter and early May are very popular and so it is better to try to book well in advance on these dates. What is the weather like on this tour? Andalucia is Spain's warmest region and the temperatures are very pleasant for cycling throughout winter, spring and autumn. In summer, from late June to early September, the temperatures are regularly above 35 degrees celsius, so we would only recommend coming in these months if you have experience of cycling in very hot conditions. 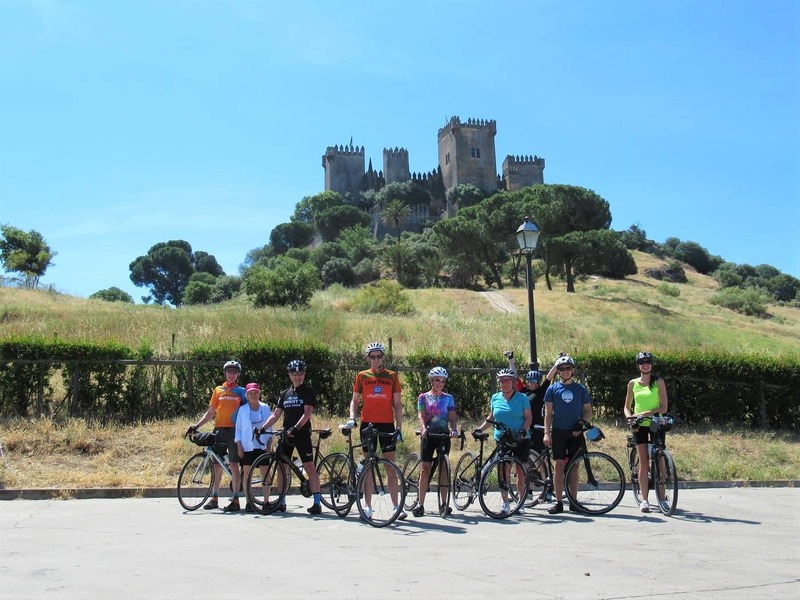 If you would like the sound of the tour, but are only availble in the summer, you might be interested in our Camino de Santiago Cycling Tour, which has similar distances and is full of historic sites, but with weather more comfortable for cycling in the summer. In Seville we stay in a **** hotel, situated right next to the stunning Plaza d'España and the Archaeological Museum. It is just a short walk from the Alcazar (Royal Palace), Cathedral and Giralda. 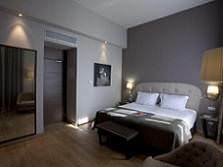 In Cordoba we stay in a luxurious **** hotel in the heart of the Jewish Quarter, less than a 500m walk from the Mezquita. 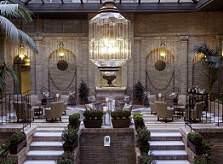 The hotel has five traditional patios which contain architectural remains which document the varied history of the city. On one of the patios there are the remains of a 4th century Roman maudoleum, while another includes the original 12th century Moorish wall. This pleasant hotel is housed in a 19th century olive mill. It is set just 200m from the historic town center and offers fantastic views across the Priego and Parapanda mountain ranges. To reserve a place on the tour, please follow the link below to continue to our reservation form. Once we have received the form, we will be in contact to confirm the booking and to arrange for the payment of the deposit. If you would like to do this tour in a group of more than six people as a guided tour, please contact us and we can arrange a private guided tour.